The world of fast food cuisine has grown up a great deal over the past several years. No longer must those in a hurry settle for mere burgers and fries; nor must they resort to tubs of greasy chicken or the sort of mystery meat Taco Bell has accustomed us to. 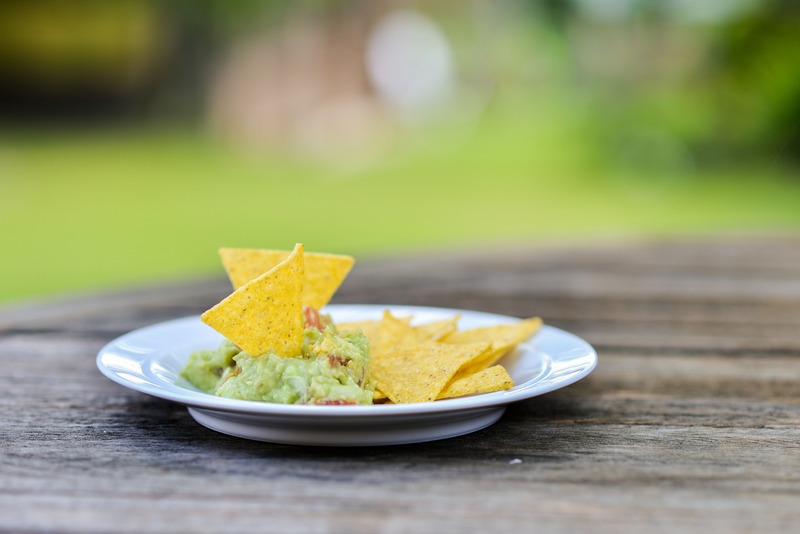 Thanks to the rise of higher-end Mexican restaurants such as Qdoba and Chipotle, fast food connoisseurs can rest assured in the glory of quality burritos, queso, and extra guacamole (please). These two companies in particular have sparked a heated debate among Americans — a quick Google search for “Qdoba vs. Chipotle” will yield massive results. Which is tastier? Which is the better deal? Which is more ethical? Together, Daily Runner Editor-in-Chief Josh Fisher and I resolved to settle the debate for good. Let me first point out that Chipotle was founded in 1993, whereas Qdoba was founded in 1995. They both have similar restaurant layouts, identical meal preparation processes (“assembly line style”), and have pretty much the same title (they both end with “Mexican grill”). This speaks volumes, don’t you think? Chipotle also makes a continuous effort to source their food from local farms, focusing on an organic and ethically acquired product. Chipotle’s maxim is “Food with Integrity.” The restaurant retrieves ingredients from local farmers who raise animals ethically, without using antibiotics or added hormones. This also means the produce is not chemically modified and GMOs are avoided. In fact, Chipotle is the first national restaurant chain to cook with non-GMO ingredients. When looking at Qdoba’s website, there was no clear indication of the restaurant making any effort to pursue all-natural ingredients. I will concede, however, that Chipotle has some ingredients that are questionable. For instance, their tortilla (made of flour) contains “enriched unbleached wheat flour” that is made with some vague chemicals. Fortunately, Chipotle’s tortilla is cooked with non-GMO canola oil and non-GMO cornstarch. Contrastingly, Qdoba’s “flour tortilla” contains ingredients like sodium acid pyrophosphate, thiamine monoitrate, and sodium aluminum sulfate. These ingredients don’t exactly sit well with me. Just look at this article on sodium aluminum sulfate. Yes, Chipotle still uses some processed ingredients, which are few. Yet I do not see Qdoba making any strides in improving the quality of their food in terms of nutrition and health benefits. Josh: I have to give you credit — everybody who knows you knows your passion for Chipotle is beyond measure. Unfortunately, it’s still not enough to convert me. Don’t get me wrong . . . I love Chipotle and have no problem eating there. And seeing as Chipotle has 1,700 restaurants as opposed to Qdoba’s 600, I also have a far greater likelihood of finding myself in one. Given a choice between the two, however, I would pick Qdoba every time. To start, let me address two things. First, I’m not sure it really matters which was the “original Mexican grill.” Being first doesn’t automatically make one superior to the other, as you could easily argue that Qdoba merely improved on the model Chipotle originally established. Second, I have to concede on the matter of Chipotle’s commitment to providing ethical and healthy meals. But let’s be real . . . this is fast food we’re talking about here. While you can’t get around the fact that Chipotle is more ethical, are we really going to these restaurants to eat “healthy?” Even if we were, there’s no evidence that GMOs are harmful in the first place. Qdoba is the superior economic choice. When compared side-by-side, the prices appear pretty similar. In fact, Chipotle might even be the cheaper option should you decide to forgo guac (which, I know, is blasphemous). Meaning that while Qdoba might not charge for extras, they probably work them into the price anyway. The key difference is Qdoba’s various promotional offers. For example, the location off Military Highway in Norfolk offers buy one get one entrées EVERY TUESDAY. As a college student on a budget, this is a major deal. And I’m not the only one who thinks so — the line is almost out the door every Tuesday. Qdoba also has a rewards program, something Chipotle recently axed. I know what you’re thinking — why do I need an incentive to eat at Chipotle? Let’s talk again when your wallet and your stomach are empty. You can have that extra Qdoba burrito I didn’t pay for. As a guacamole purist, I don’t want anything in my burrito that comes between me and my delicious guac. So while I may not be one much for queso, Qdoba nevertheless offers it for anyone interested. They also have nachos, salads, gumbo, and breakfast burritos (in some locations). It’s cool that Chipotle tries to keep things simple, but man . . . that’s a lot they don’t have. You can make all the arguments you want about Chipotle tasting better, but Qdoba is 100% able to hang right there with them. The only problem I’ve ever had at Qdoba is my burrito exploding from the amount of food they put in there. And that’s honestly a great problem to have. Brandon: I must say that your points are strong. From time to time, I too have eaten in Qdoba. But let’s be honest . . . that’s only because I was starving and needed food at the moment. However, your reasons are not enough to dissuade me. Chipotle focuses on quality over quantity. You see, your Qdoba loyalty resides in the concept of “quantity over quality.” A Qdoba burrito is decent, at best. Their variety in food is desperately ambitious. I will admit, though, there is no surcharge for guac (which I painfully applaud them for). Yet it looks like Qdoba is trying rather hard to compete by providing more. That is not an improvement to the original model Chipotle established in 1993. Some may say Chipotle’s model was perfect from the start. 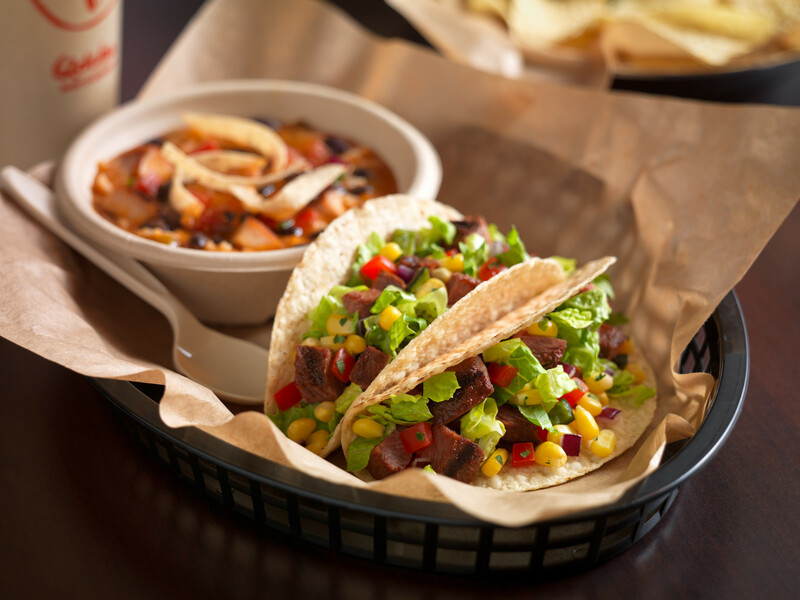 Overall, Qdoba is sacrificing quality to compensate for their shortcomings. But go ahead and enjoy your artificially processed burrito from the factory it came from. Most importantly, fast food does not mean we’re always talking about the commonly accepted idea of the term—heart attack-inducing meals with a side of pure cholesterol and sodium. What truly makes Chipotle so much better is that it is fast food with a healthier foundation. It is the innovator of fast food restaurants. Haven’t you seen McDonald’s and Wendy’s trying to integrate healthier meals lately? That’s because society is trending more toward health conscious cuisine. Read this article and see how Chipotle is thinking about the future. As part of their innovation, they have also banned bacon from their pinto beans to appeal to the vegetarian crowd. If you go into any Chipotle (such as the one near Lynnhaven Mall), they have a sign indicating bacon-less pinto beans. Along with this change, they have also introduced their tofu sofritas, bringing in the vegan demographic. Despite the apparent variety Qdoba has, Chipotle has made great strides without compromising their healthy foundation. So have fun with GMO’s in your body. Economically speaking, Qdoba does have a slight advantage. That “Tuesday gimmick” and free guac you speak of brings in a sizeable amount of customers. So, I will not argue with you on that. It looks like, though, you have not tried Chipotle’s text club. Did you know that Chipotle had a couple of contests this past year for free trips and food? Did you know that if you lost, you could still get a free burrito coupon? In fact, I have entered the majority of these contests and have gotten myself a couple of free burritos as well as free catering (approx. $500 in value). And, may I add, WITH guac.